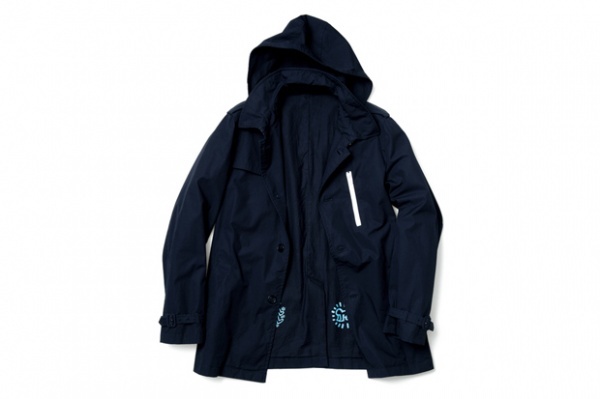 One of the more interesting collaborations we’ve seen lately is this trench from Sophnet and Kieth Haring. Made in conjunction with the ‘Keith Haring Foundation’, this coat is particularly interesting because it’s devoid of nearly any markings typical of the artists, with the exception of a few on the lining. The result is an amazing looking coat with a subtle nod to it’s creators. Look for it to hit Sophnet online tommo. I like what you guys are up too. Such clever work and reporting! Keep up the good works guys I’ve incorporated you guys to my own blogroll.